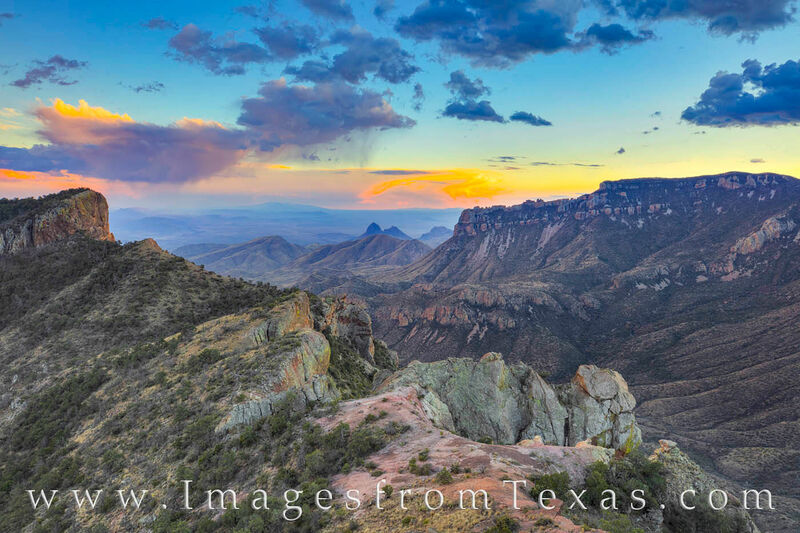 With storm clouds looming over the distant Chisos Mountains and Juniper Canyon in front of me, this view from high up on the Lost Mine Trail in Big Bend National Park was breathtaking. The walk up to this point is pretty easy - just under a 5 mile round trip,and the landscapes are amazing in all directions. Photo © copyright by Rob Greebon.